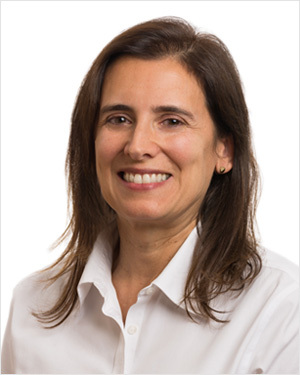 Dr. Laura Londra has expertise in all currently available treatments for infertility, including intrauterine insemination, in vitro fertilization, intracytoplasmic sperm injection and preimplantation genetic testing. She completed her subspecialty fellowship training at Johns Hopkins University, where her clinical research has focused on factors affecting pregnancy outcomes after IVF, as well as ethical issues related to reproductive medicine. Prior to her fellowship, she attended Wayne State University in Detroit to complete her residency. She is Board-certified in both OB-GYN and in Reproductive Endocrinology and Infertility. Her philosophy is to strive for the highest quality of care with compassion and honest advice. She spends a great deal of time with each patient to develop a personalized plan of treatment, while keeping in mind evidence and science based best practices in the field of Reproductive Medicine. Fluent in Spanish, when not working, Dr. Londra enjoys traveling with her husband and two children, reading, playing the piano, trying some vegetarian cooking and volunteering in her community. Dr. Londra is awesome. My wife and I were excited about starting a family and Dr. Londra welcomed us with open arms. She made the IUI process as stress free as possible and was supportive both at our appointments and if we called with any …More Dr. Londra is awesome. My wife and I were excited about starting a family and Dr. Londra welcomed us with open arms. She made the IUI process as stress free as possible and was supportive both at our appointments and if we called with any questions in between. She shared information about herself and made us feel more like a friend than a client. We were successful on our second attempt with Dr. Londra which amounts to really great results. The office staff are all so kind and genuinely interested in the success and the well-being of the clients there. Since establishing our pregnancy- Dr. Londra even called to check in on us and share in our excitement of our baby due in May! We will definitely keep in touch with her and the practice, we will absolutely being going back to see her when we are ready for our second child. Thank you Dr. Londra – hands down- five stars. – Christina H.
Dr. Londra is uniquely qualified to provide infertility treatment for international patients. Services include ivf, icsi, embryo fertilization, egg donation, sperm, and pgd. Ohio Reproductive Medicine’s office centrally located off state route 315 offers easy access to Port Columbus Airport (CMH). Port Columbus Airport has direct flights to over 29 US cities. In addition the office is easily accessible to patients from Dublin, Westerville, Gahanna, New Albany, Delaware, Marion, Pickerington, Groveport, Grove City, Plain City, Marysville, Marion, Zanesville, Cambridge, Circleville, Athens, Lima and most of Ohio.